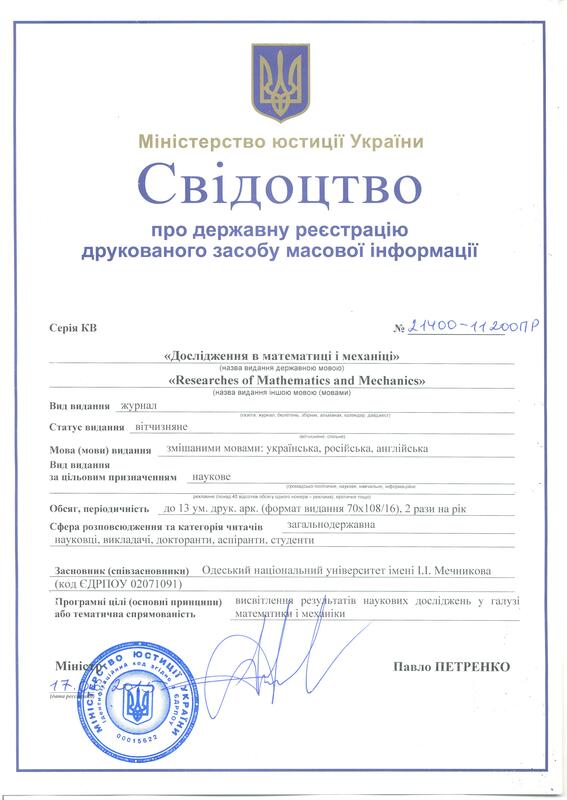 Industry sector and problems: The journal “Researches in Mathematics and Mechanics” has a purpose to inform readers about new scientific research in the field of theoretical and applied mathematics and mechanics and related disciplines. The journal publishes articles that contain original results of theoretical studies, reviews of current issues on the subject of the publication, as well as a message on the anniversary, significant dates and events, etc. The journal is a continuation of the Mathematics and Mechanics series of the Odesa National University Herald. 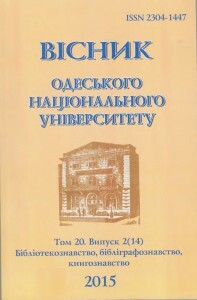 The journal is referenced and indexed in the following databases: Archive repository-ONU Mechnikov; “Scientific Periodicals of Ukraine” NB Ukraine Vernadsky; Ukrainika research; “Scientific Periodicals of Ukraine”; Ukrainian scientific journals; Index Copernicus International Journals Master List; Google Scholar; Ulrich’s Periodicals Directory.